This chair features a chic mid-century modern look worthy of building your space around. 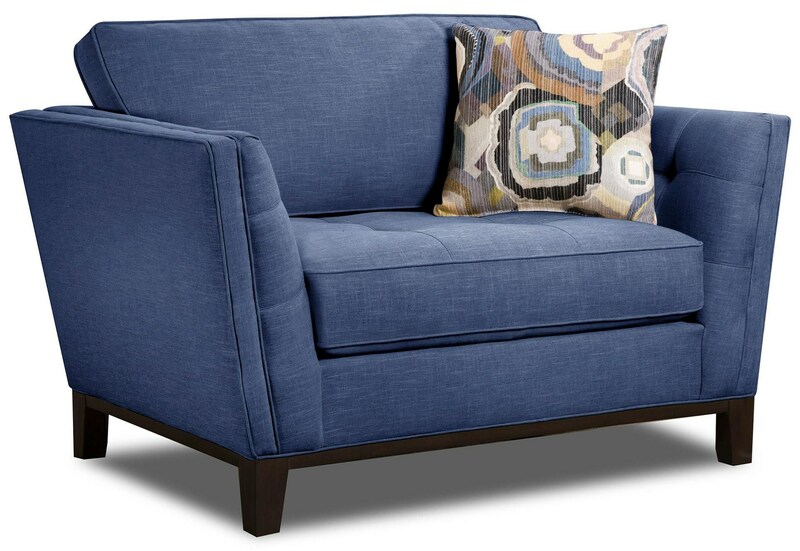 From the two sided taper feet to the diamond tufted seating, this small scale sofa is perfect for any space. With accent pillows included, you are able to use fun patterns and other bright colors in your living room. The Paradigm Admiral Chair by Corinthian at Great American Home Store in the Memphis, TN, Southaven, MS area. Product availability may vary. Contact us for the most current availability on this product. This Collection features a chic mid-century modern look worthy of building your space around. From the two sided taper feet to the diamond tufted seating, this small scale furnishings is perfect for any space. With accent pillows included, you are able to use fun patterns and other bright colors in your living room. The Paradigm Admiral collection is a great option if you are looking for Mid-Century Modern furniture in the Memphis, TN, Southaven, MS area. Browse other items in the Paradigm Admiral collection from Great American Home Store in the Memphis, TN, Southaven, MS area.